I'm very pleased to have joined Raise4ever in support of Camp4ever! My goal is to raise $100,000 to send children with sick parents to camp. 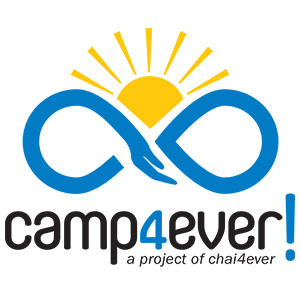 I personally know children and families that are benefiting tremendously from Chai4ever and specifically from the Camp4ever program. I am determined to ensure that every child that can benefit from Camp4ever! 's program will have the opportunity to do so. My objective is to raise $100,000 to enable these children to go to camp and I hope you will help me reach this goal. All donations are 100% tax deductible. Please join me by clicking on the donate button now.